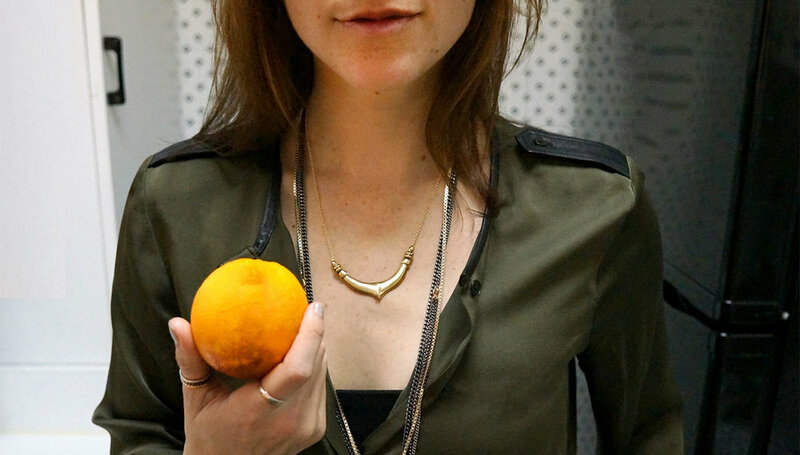 I first met Victoria Bekerman at the UrbanSpace Union Square Holiday Market. Immediately, I was more than obsessed with her jewelry—I had to get my paws on some. One thing led to the next and we decided that we should meet, have a coffee, and figure out a way to work together. We spent three hours chatting, looking through jewelry and making sure we immortalized our first meeting in a perfect photo. 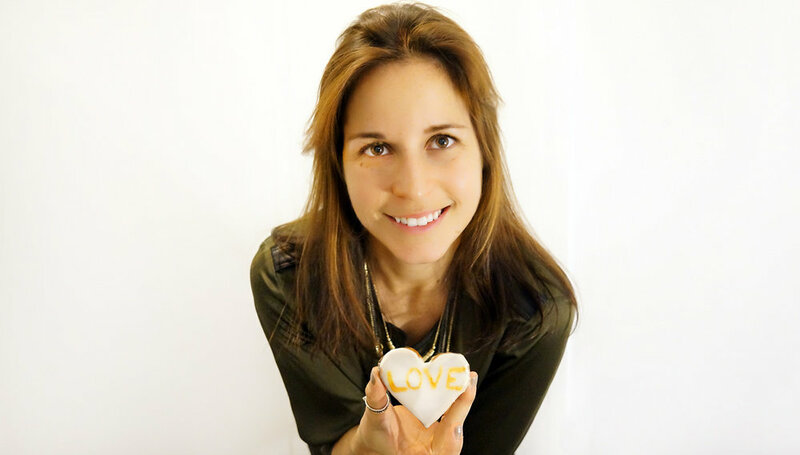 From that meeting, came this genius idea of an edgy cookies to pair with her rockin’ jewelry because truly, what screams Valentine’s Day more than chocolate, hearts and baubles? TO MAKE YOUR COOKIE DOUGH. 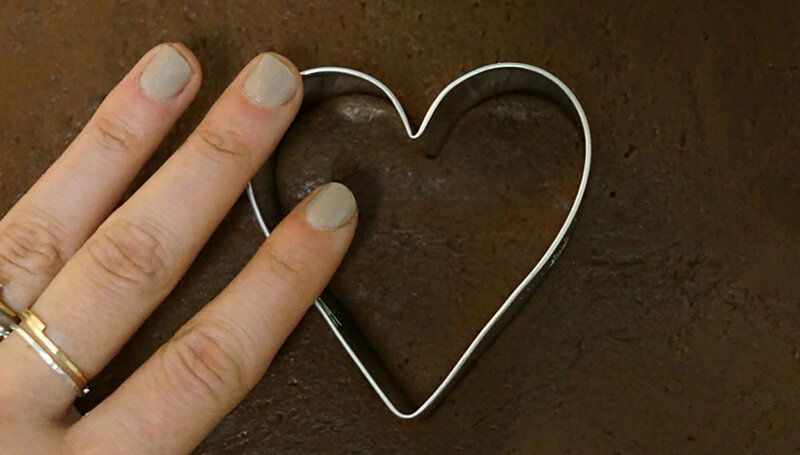 in your large mixing bowl, use your whisk to combine your flour, baking powder, salt and cocoa powder. In your stand mixer, on a low speed, cream together your pieces of butter and your sugar. 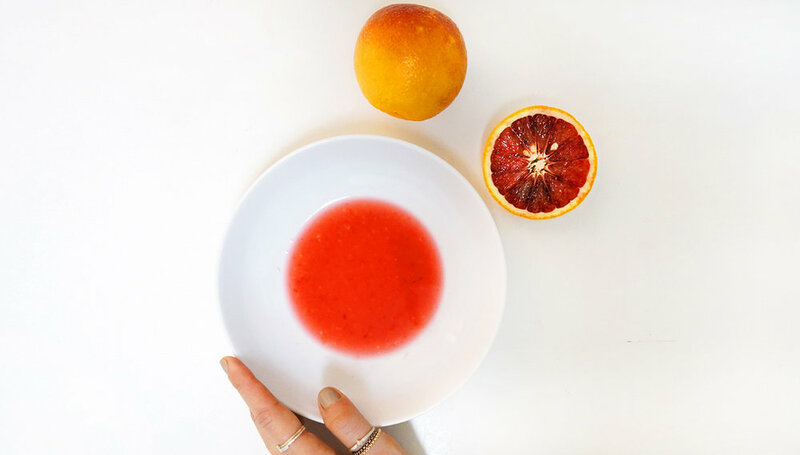 Add in your vanilla, blood orange juice and egg. Slowly incorporate your cocoa flour mixture. Using your hands, roll your cookie dough into one large ball, cut that ball in half and roll each of those halves into balls. Wrap them in plastic wrap. TO MAKE YOUR ICING. 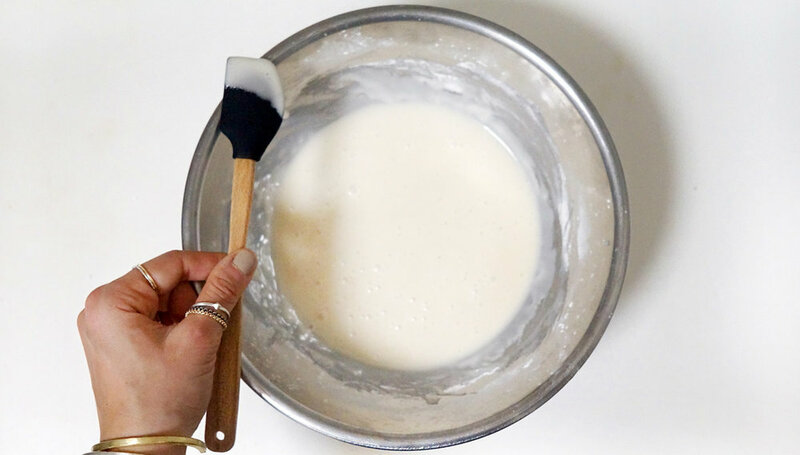 using your rubber spatula, combine your powdered sugar, almond milk, corn syrup and vanilla in your medium mixing bowl. TO MAKE YOUR COOKIES. preheat your oven to 350 degrees. Line your baking sheet with your silpat and set aside. Dust your rolling pin and work surface with flour. Place your cookie dough in the center of it and use your rolling pin to roll it out until it’s a 1/8 inch thick. 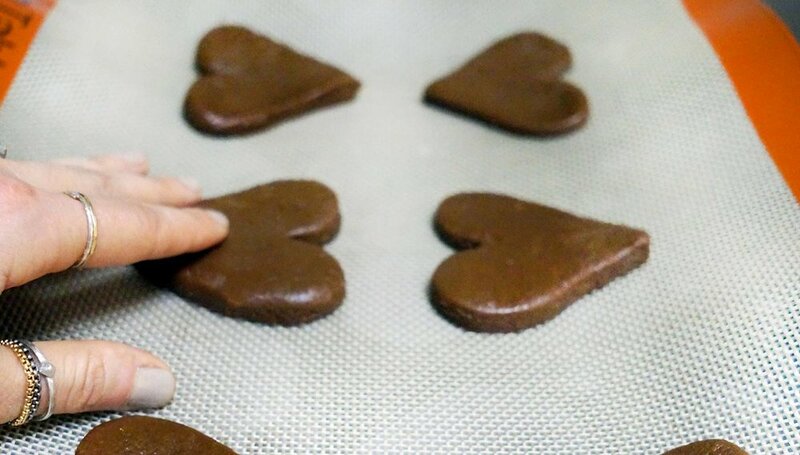 Use your cookie cutter to cut out as many hearts as you can and one by one place them 1 inch apart on your baking mat. When your cookies are baking they won’t expand much so you don’t have to worry about them being close. Roll your cut out cookie dough scraps back into a large ball and use your rolling pin to roll it out again. Use your cookie cutter to get as many additional cookies as possible. Continue this process until you don’t have enough dough for a full cookie. Remove them from the oven and let them sit on the lined baking sheet for 1 minute before touching them. Transfer them to your cooling rack. 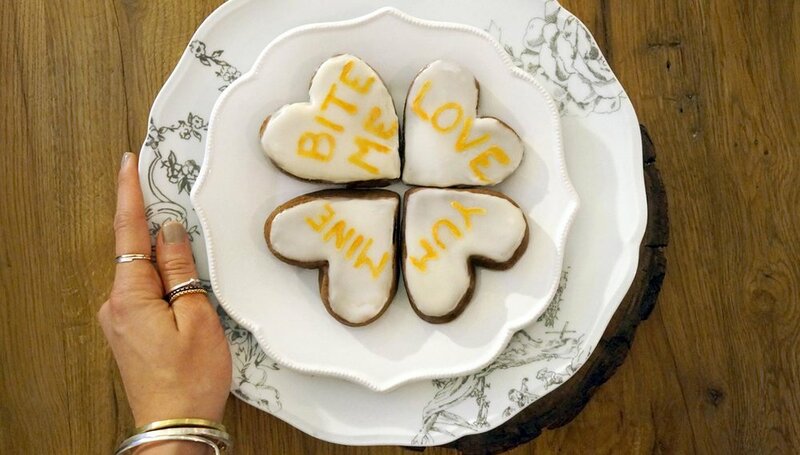 TO DECORATE YOUR COOKIES. use your butter knife as though your were buttering toast to lather your icing onto your cookies. In your pinch cup, mix together your lemon juice and gold pearl powder. 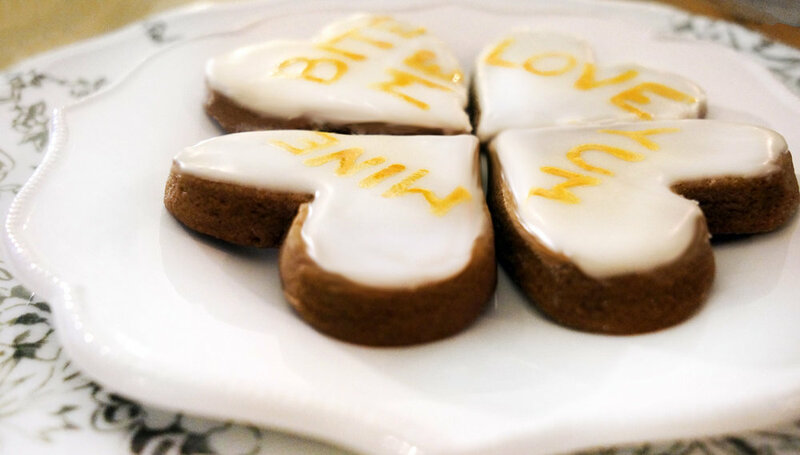 Use your paint brush to write or draw on your cookies. Make them fun and send me photos! I love to laugh! I can’t hardly wait to see them!